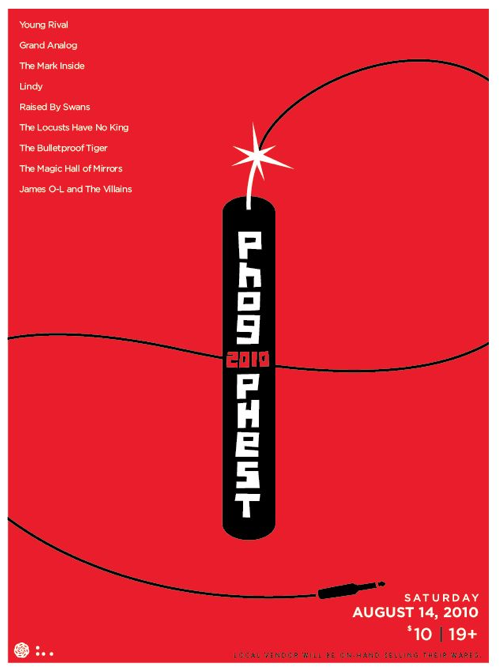 Anyone who buys (or has bought) their Phog Phest ticket by August 7th (Aug. 7th included) is entered into a draw to win 1 of 9 professionally framed Phog Phest posters (by Nancy Johns Gallery), signed by all Phog Phest band members and performers! So make sure you pop into Phog Lounge after 5pm Tuesday through Saturday (or after 8pm Sunday and Monday) and get some for you and your friends! There’s 10 bands for only $10!